The presidents of Mercosur, the largest trade bloc in Latin America, will meet in Mendoza, Argentina today. Topping the agenda will be a proposed free trade agreement with the EU. Because Mercosur requires unanimity, ratifying a free trade agreement with the EU had never been possible, as leftist regimes long dominated the bloc. With Venezuela suspended and the socialist “pink tide” ebbing in the customs union’s remaining states, a transcontinental free trade agreement seems more likely now than ever. Opponents argue that it could jeopardise the success of domestic businesses. Conversely, proponents highlight that it will give the bloc’s constituents access to higher quality goods at lower prices and benefit exporting businesses by eliminating costly tariffs. Mercosur’s executives are also likely to discuss greater integration with Latin America’s other major trade union, the Pacific Alliance. 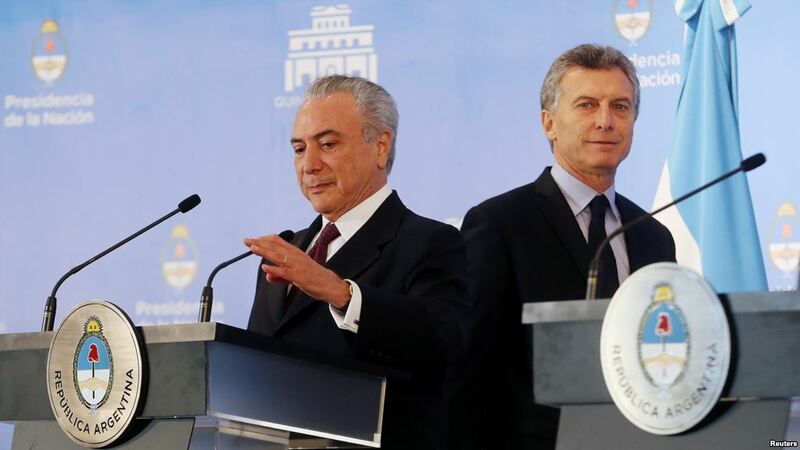 With Argentina facing high inflation and unemployment as Brazil is poised to enter its third year of economic contraction, greater cooperation between the two trading blocs could resuscitate South America’s two largest economies.